This recipe for Chai Latte Amish Friendship Bread carries that spicy, creamy chai flavor and is perfect for a book club, tea party or bridal shower! Don’t have any instant chai latte mix on hand? Don’t worry! Brew 5 chai tea bags in the ½ cup warm milk from the ingredients, and you’ll be good to go. Line cupcake tins with paper cups or grease wells and dust with Chai Latte mix. Pour the batter evenly into cupcake wells and lightly sprinkle on Chai Latte mix. 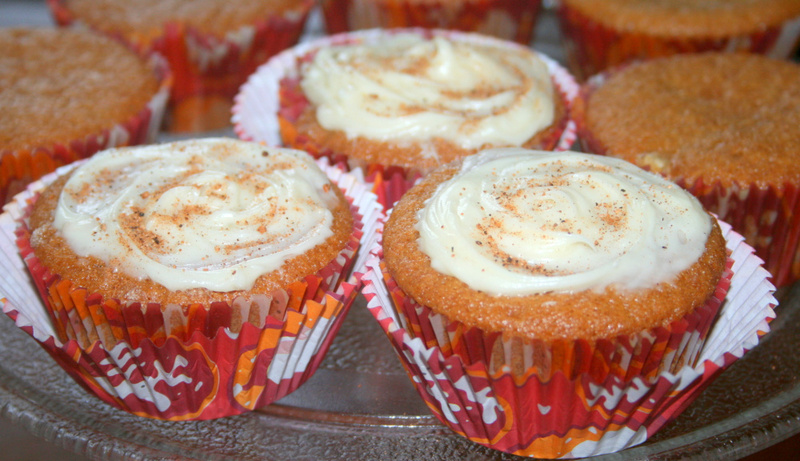 Top cooled cupcakes with a fluffy mound of buttercream frosting or vanilla glaze and top with Chai Latte mix or nutmeg.